Jim was born in 1949 at Bolling Air Force Base in Washington DC, the son of US Air Force Colonel James A. Gianatsis, a decorated World War II B26 bomber pilot. Jim's childhood was spent living around the world and across America on military bases: from Germany Hawaii and Phillipines, to Virgina, Illinois and Mississippi. Jim's passion for wheeled motorsports developed early from just 6 years old with building model cars and trains, to stripping down and modifying his bicycles for "racing" when he was just 8 years old. By age 12 Jim had his first camera and was taking candid shots of pets and friends. In 1962 when his family was stationed in Hawai, Jim's career in photographing beautiful girls began at age 12 as he'd approach vacationing college girls in bikini's on Waikiki Beach and he'd asked them if he could take their pictures with his twin reflex camera. 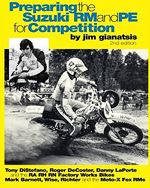 Please note that Jim Gianatsis is a professional photographer, and his archival Motocross and Stock Calendar and Model photography is valuable. Requests for custom photo prints and mural prints are expensive and very time consuming to discuss, research and then produce a custom lab order, package and ship it to you safely. You are not only paying for the cost of the custom photo prints, but our time to work with you and a per image artist's fee to cover Jim's lifetime of work and dedication. 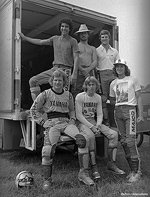 Please note, many vintage motocross bike collectors contact us for pictures, static and action with the factory riders, of their origional bikes from the 1970s, but we can not profitably provide the photo(s) wanted from our negative archives at the inexpensive prices you'ld like to pay. A typical custom order takes 3-4 hours to process and handle at a professional rate of $125/hr, plus the cost of the custom prints and shipping. Pierre Karsmakers and help "Jammiin'" Jimmy Weinert win the 500cc Title. Beautiful Ginger Switzer with 1993 World 500cc Grand Prix champion Wayne Rainey's Yamaha YZR500 at the Rock Store in 1994.
the legendary riders from Heikki Mikola and Roger DeCoster, to Bob Hannah, Tony DiStefano and Marty Smith. 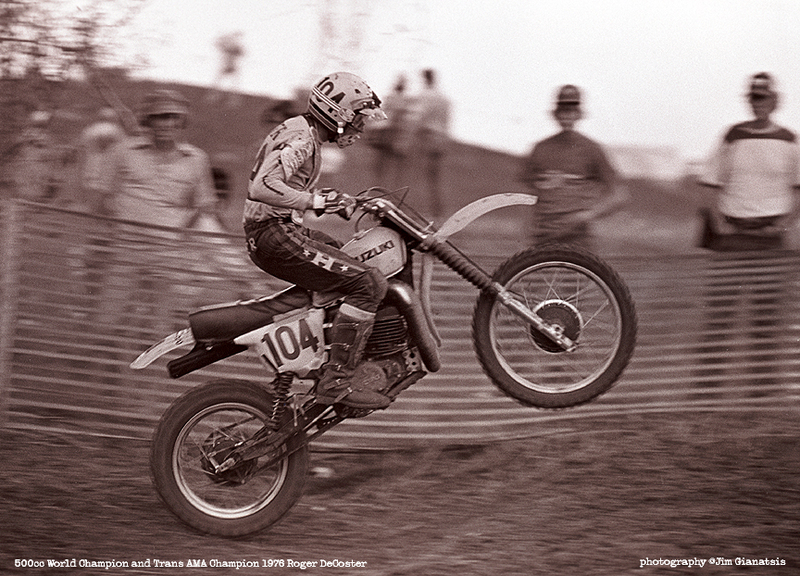 Jim calls this his Golden Age of Motocross photography. MotoGP and Motocross Race Bikes, Custom Motorcycles, and beautiful Models. Original FastDates.com Calendar Photography and Classic Motocross Photos are available for Commercial and Editorial use. ... creating exceptional images for your advertsing, marketing and editorial needs. without express written permission from the copyright holder. 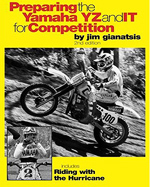 Private Collectors, Museums, Retail Stores: Now, for the first time ever thanks to our partnerships with America's premier online photo labs, you can have my favorite, most memorable Vintage Motocross and FastDates.com Calendar photos reproduced to museum qualty standards for your home, garage, museum, office or store. Choose from photo prints on quality photo paper, to huge poster and mural size Giclee' photo prints on archival rag paper or canvas mounted to wooden frames or display boxes. Stock Archives and On-Assignment Photography for Editorial, Advertsing, Commercial and Calendar use is available by contacting Gianatsis Design direct. 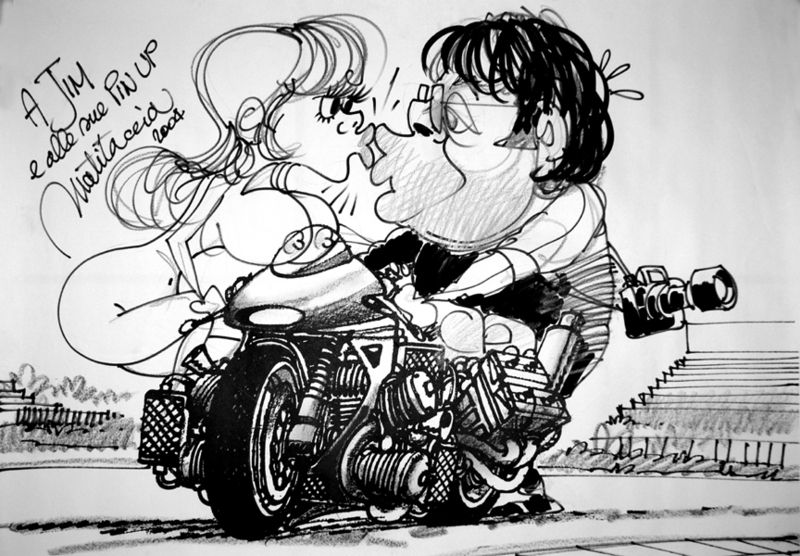 We have the world's largest library and provide all types of motorcycle and glamour swimsuit model photography, shot on outdoor location and in studio. Calendar Images are provided in premium quality Hasselblad and Nikon hi-resolution file sizes.Calendar Images are provided in hi-res 24 inch x 300dpi file sizes, Photoshop retouched. Deposit required to start Image Film File Search and Scanning. 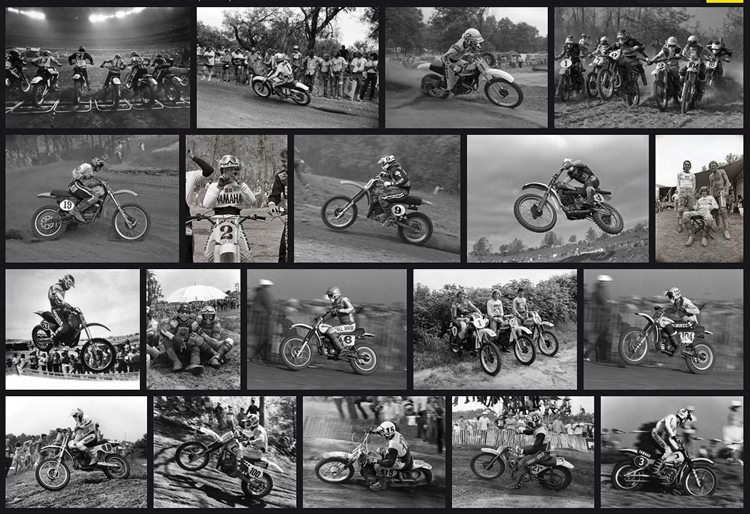 Your Deposit will be refunded on Stock Classic Motocross Photos we may not have. Private Collector rates may be lower per multiple image orders. Phone or E-mail Gianatsis Design to discuss your needs. Special Note: Custom Photo Orders Are Available with our Minimum Purchase Fee of $250. but our time to work with you and the photographer's licensing fee to cover Jim's lifetime of work and dedication. then please do not contacted us. Thanks. 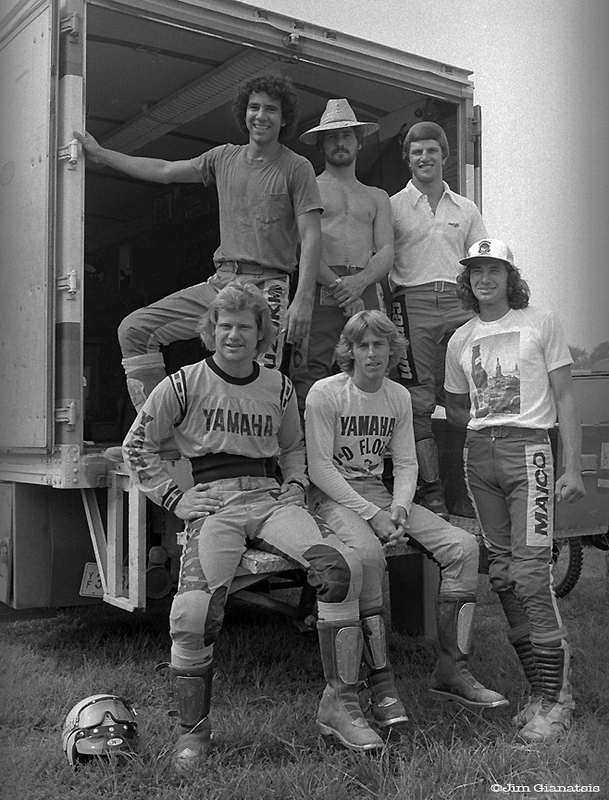 (1) Kent Howerton, 250cc; (2) Bob Hannah, 125cc; (3) Tony Distefano, 500cc. 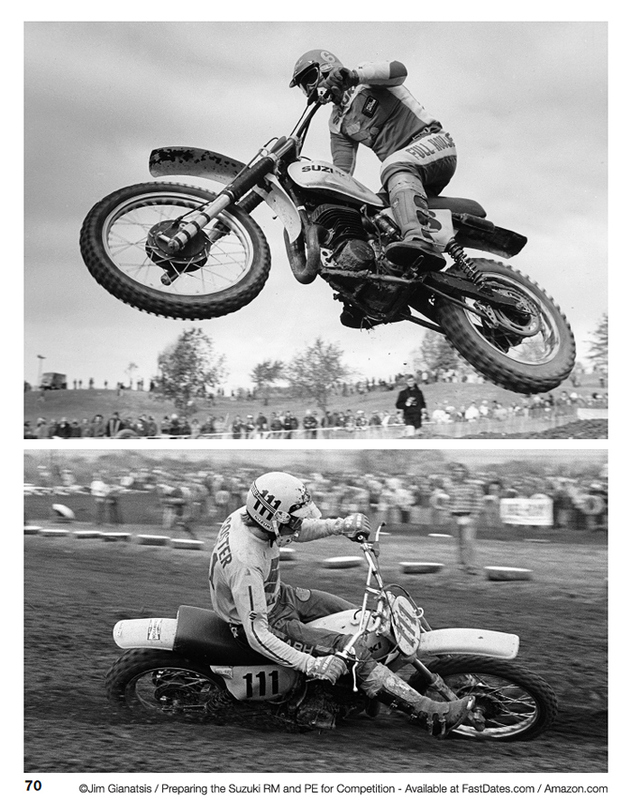 All on their Open class bikes for the Trans-AMA Series that fall. Paige Brooke and celebrity builder Exile Cycle's Russell Mitchell's Discovery Channel Custom Build Off Bike. All images are available as hi-resolution scans on CD or downloaded via the web.